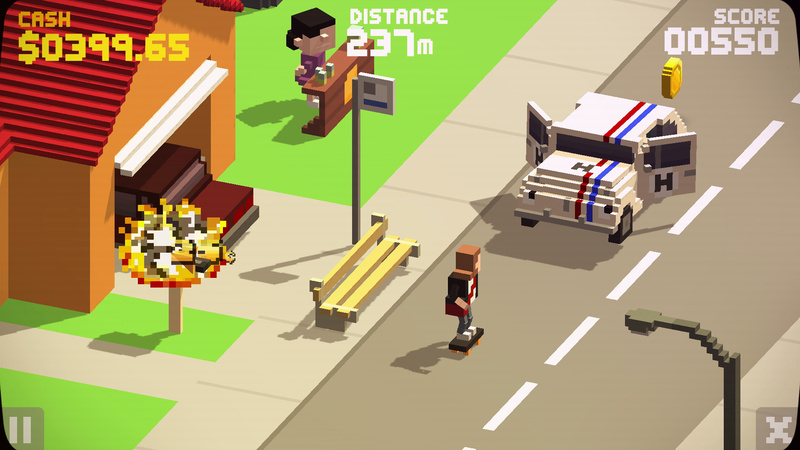 Inspired by score-chasing arcade classics and a heavy dose of popular culture, The Videokid skates onto Nintendo Switch next week. As you perform tricks and combos to earn crazy scores and bonuses, you can hitch and grind your way around town on your trusty skateboard while trying to deliver your pirate video round and meet up with your girl. As you might expect, you'll need skill and nerve to avoid hazards and - perhaps more importantly - the cops, as well as encountering nostalgic vehicles and fond retro movie references from the glorious '80s. We had a chat with Adam Jeffcoat, the animation director, designer and founder of Pixel Trip Studios, about the game itself. Nintendo Life: Can you fill us in on Pixel Trip's background? Adam Jeffcoat: The Bristol-based games company Pixel Trip Studios was founded in 2015 by animation director (that's me) and creative producer Vincent Kamp. After working in the TV and comic book industry for over 15 years we wanted to turn our hand to games. We shared a singular vision: to make fun and engaging games like the old arcade classics where playability was king. How did the project first come together? After securing some initial investment we developed two titles, an adventure game called The Breakout, where you had to escape from a World War 2 prison camp, and a Paperboy style skate game, The Videokid. The latter got the green light and after a year in production, The Videokid was ready to hit the streets. Are you and the team all '80s Nintendo kids? I grew up in the '80s and loved everything about that era! The TV shows, the cartoons, the toys, the music and of course the classic films. 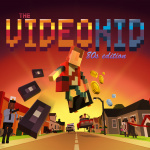 The Videokid was my chance to pay one big homage to all of that awesomeness! Unfortunately though, I never actually owned a Nintendo but my cousin had one, so I was round his house pretty much every day after school playing Duck Hunt! Was everyone on the same page regarding which popular culture references to include in the game, or was it more of an ongoing discussion? Well, I set out to really pay homage to everything I loved about the '80s but it turned out everyone else loved them too. I think when you see something that you loved as a kid it sparks that warm nostalgic memory, which we all love. Are there any favourite movies (or any other pieces of pop culture) that you wanted to include but left out? When I started researching there was soooo many more movies we could have put in there, but at the end of the day we made sure everything we included at least felt like it belonged in the neighbourhood where the game takes place. The characters had to at least be walking down the street or driving a car, which kind of put a restriction on what we could include. There was no way to put Jaws in there for example, so instead we got it in there by showing it on 'now screening' sign on the cinema within level two of the game. Are the references related to characters and environments, or are there objective-based nods as well? The gameplay objective is more focused on delivering movies to your customers and the idea was that all the characters and cars you see would be from those movies – kind of like bringing them to life. So the fun is just in spotting them as you skate down the street. 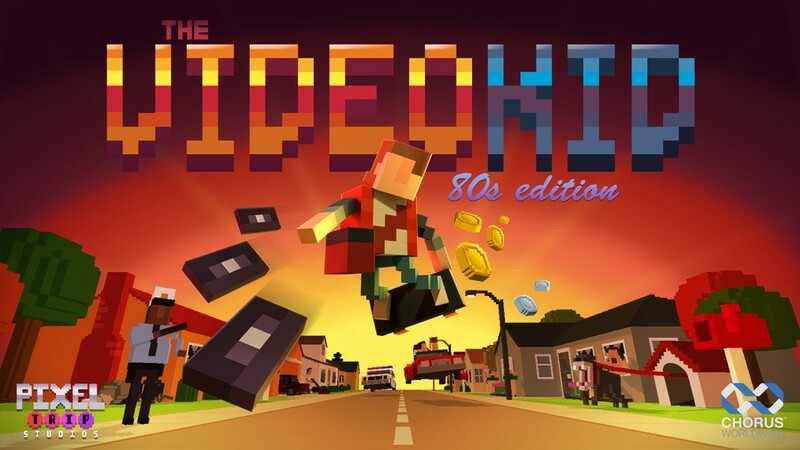 The Videokid is clearly a nostalgia trip for us oldies, but younger players who didn’t grow up in the '80s can enjoy too, right? Surprisingly enough, when we did our testing we found that apart from adults who grew up in the '80s, the next biggest fans were 6 to 9-year-olds, as they just loved trying to beat their previous best and trying to reach the character's girlfriend. They became seriously addicted and we had to pry the controllers from their hands! I think they also loved smashing windows and knocking over trashcans and generally causing a bit of destruction! Paperboy is obviously a big influence - what's your relationship with that game? My experience began when I visited my cousin in Canada back in about 1987 and he had a Nintendo and this game called Paperboy. We both found it insanely hard but I was just fascinated by it; all the cool little neighbourhood houses, some friendly and some not, and the goal of delivering papers to become a delivery boy legend was just so appealing. Are there any other games you loved as kids, or any contemporary games that influenced you during development? I loved visiting the arcades and playing all the amazing but very tough to beat games. NBA Jam, Teenage Mutant Ninja Turtles and Street Fighter 2! But they were always so damn hard I don't think I ever beat them. I guess that was so they could extract as much money from you as they could. My love for games grew from there and in the '90s I got a Commodore Amiga and became addicted to all the awesome games of that era. Any game by the Bitmap Brothers was a huge influence too, as they made the coolest games but with amazing graphics, music and playability. 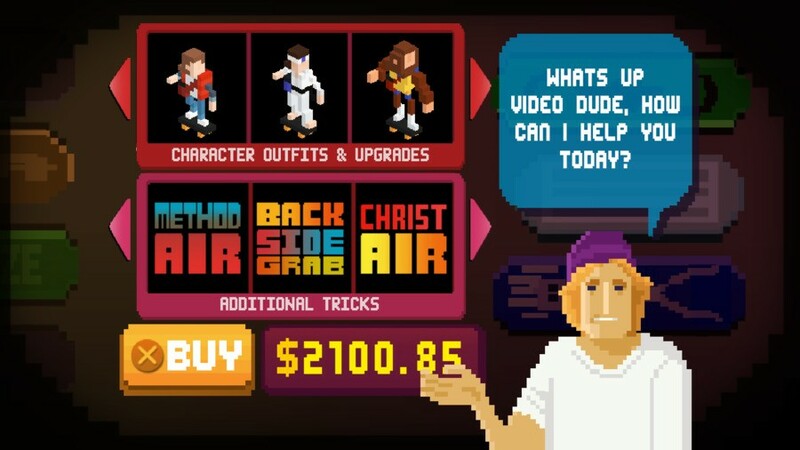 What kind of upgrades and extras are available in The Videokid? In the game, you can unlock different skater outfits for the kid, or there are eight other playable '80s characters you can get. We also threw in some extra skate tricks to add to the kid's moves. Dealing with the law and trying not to get caught adds another layer to the game - how does this affect your progress? It doesn't so much affect your progress as much as them just trying to knock you off your board. The cops will chase you throughout the game but you only have one life, so if you take a hit you have to start all the way back to the beginning again. How important was it for you to get The Videokid on a Nintendo platform? As Paperboy on the NES was such a huge inspiration for this game it felt like it was the perfect choice to get The Videokid onto the Nintendo Switch. When I actually tested the build it played so well, as the controls really suit the old-school style controllers, too. Can we expect more '80s goodness to come to The Videokid in the future? 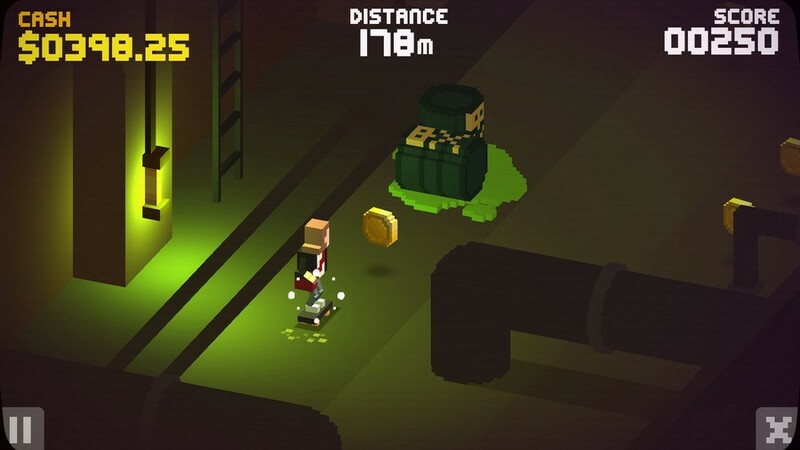 Yes - there are so many things we'd love to add to this game, including an endless mode and a level-based version where you have to win more customers, just like in Paperboy! Are there any plans for a '90s edition? Haha! It's funny you should mention it as that's been on our drawing board for months. If we get the chance to do a sequel we have already got a huge line up of '90s references we'd love to put into the game! We would like to thank Adam for his time. The Videokid is out on the Nintendo Switch eShop on August 30th. Loved paperboy back in the day, and also very much a 80's kid. This could be interesting to try out. Loved playing paperboy as a kid so ill probably pick this up. At only 5$( i think) it's not like I'll be hit with a big loss if it's a flop. The Paperboy force was strong with this one, and that's not a bad thing for me. I'll backlog it for now. This is £4 isn't it? Nothing to lose. The price definitely seems right. I'm not sure if "Paperboy-style" is the right descriptor, though. 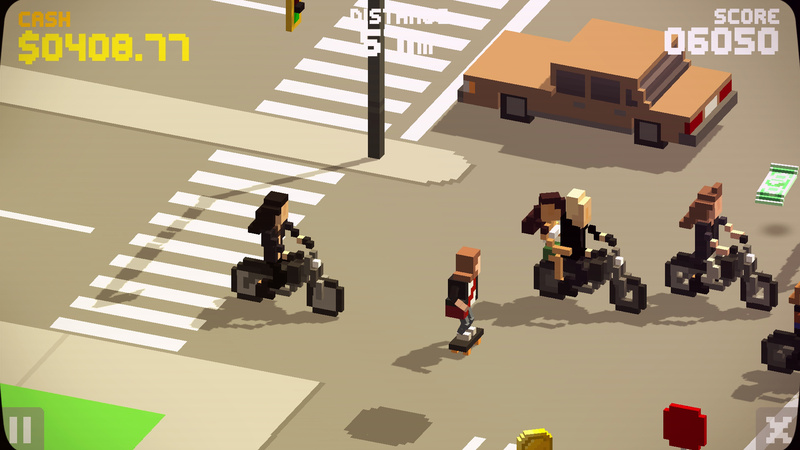 On the other hand, "Paperboy-legally-actionable-clone" probably goes too far. Loved Paperboy!!! We had the big console at the pizza place. btw. aren‘t that vampires on the motorbikes? In bright sunlight? Loved paperboy but these graphics are a real turnoff! Oh man, I loved Paperboy growing up, was one of those arcade cabinets found in every single arcade. I played it almost every single time I went to the arcade....so I’m highly interested, I hope this is good. Looks great, I'm in. Steam has it currently for 3.99, but the 4.99 Nintendo price is still very appealing. 80s baby 90s raised me. I've had my eye on this and I cant wait for them to take my money. Btw anybody realise how he looks like Marty mc fly? Really digging this. Can’t wait to give my money to this developer for bringing such a great homage, but not quite exact replica, of a somewhat forgotten game. I'm excited to get this and The Messenger next week.